The Ultimate Guitar-to-USB Interface to Jam and Record with Killer Modeling Amps and Effects. 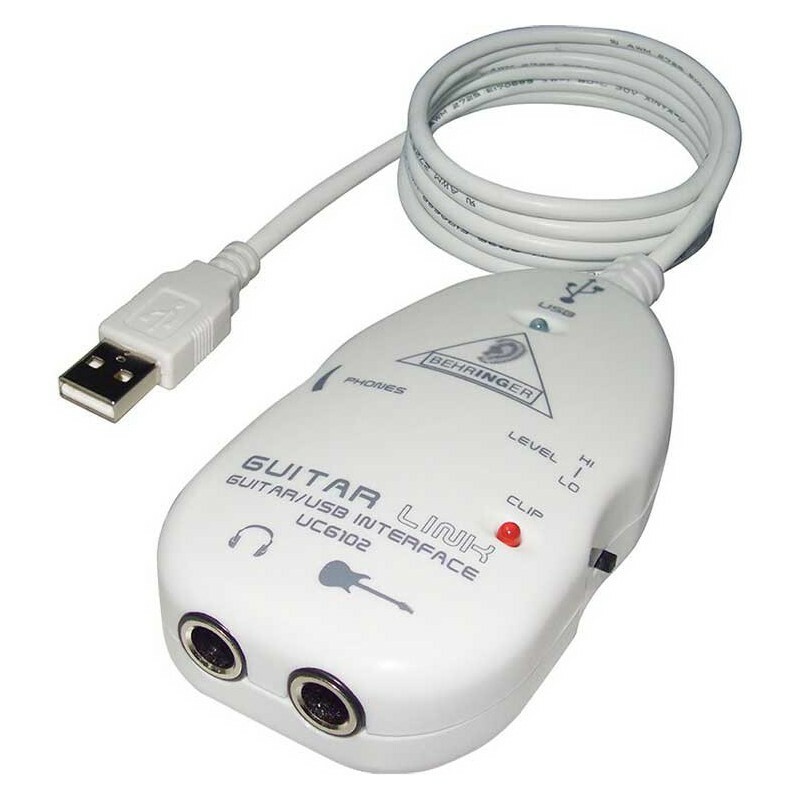 The GUITAR LINK UCG102 interface is an amazing practice tool that lets you hook up your guitar to your computer in a flash, giving you the best of both worlds. The UCG102 guitar-to-USB interface lets you jam and record using modeling amps and effects without the need for any other gear but your guitar. 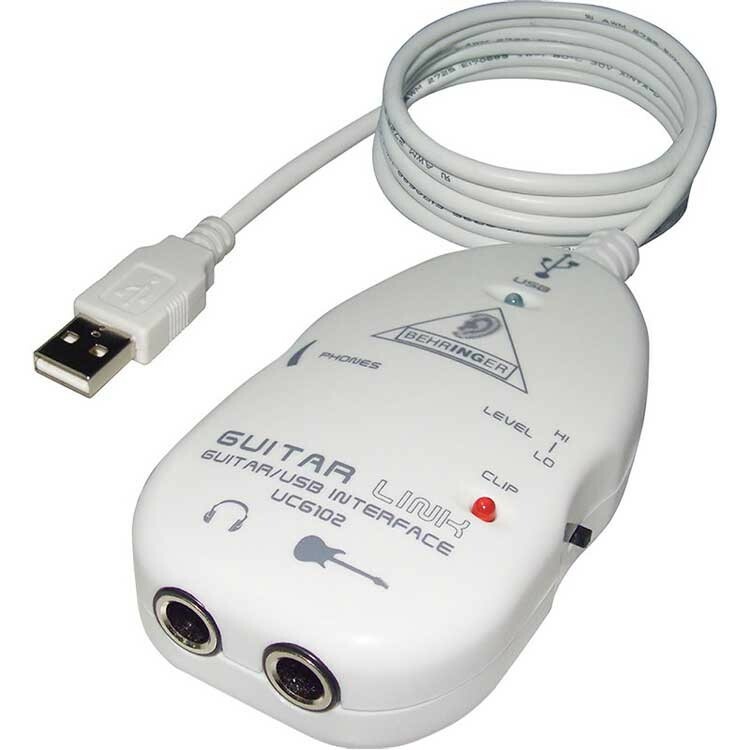 The compact interface links your electric guitar to a PC or Mac computer via a typical USB cable, allowing you to rock with sophisticated software such as the included Guitar Combos BEHRINGER Edition from Native Instruments, Kristal Audio Engine multi-track sequencer and Audacity audio editor. It also features a Headphone output for silent practicing. Native Instruments Guitar Combos BEHRINGER Edition* perfectly recreates 3 classic combos. The virtual tube combos have an absolutely authentic, dynamic and pure tone. GUITAR COMBO I’s popular role model revolutionized British pop music. From soft to distorted, this combo has a uniquely inspiring sonic character. GUITAR COMBO II is the epitome of the clean and crunchy blues sound. Over the course of several decades, this warm and unmistakable sound has made a valuable contribution to countless hits. Based on the famous tube amps that spawned the guitar legends of the late ‘60s and early ‘70s, GUITAR COMBO III embodies the rock sound. Its distinctive and individual tone can be as warm as it can be hard. * Fully functional demo versions of all three combos are included on the CD. These all offer the same features as the full versions but will only run for the first 30 days after installation. You can use the included coupon ID to download the serial number to the GUITAR COMBO of your choice FOR FREE!